“At our last luncheon in March, I announced that the JAVA Executive Council approved a new initiative. Our new initiative is to raise money for a selected charity that provides benefits to veterans and their families. I am pleased to announce today that, earlier this month, the Executive Council selected the Honor Flight Network, as the recipient of our charitable donation for this year. “First, let me explain Why is JAVA doing this? In recent years, the American public has expressed its appreciation in many ways for the World War II Nisei soldiers’ extraordinary support of the war effort. We are truly grateful for the honors given to those veterans. In receiving these expressions of appreciation, we have been takers. We have all shared in their honors. In return, we want to show that a part of the Nisei soldiers’ legacy is to give back to veterans and their families who are in need, and to support the military community. This new initiative is one way for JAVA to fulfill our responsibility as a Veterans Service Organization. “The first Honor Flight took place in May 2005. As of November 2010, Honor Flight had transported over 63,000 veterans to Washington, DC. Honor Flight is headquartered in Springfield, Ohio and has 114 chapters. “Honor Flight helped to bring World War II Nisei veterans to the Congressional Gold Medal Ceremonies held in Washington, DC in November 2011. Our selection of Honor Flight, as the inaugural charity for JAVA’s new initiative, is our way of expressing our appreciation for Honor Flight’s help in making the Congressional Gold Medal Ceremony a memorable experience for the Nisei veterans. “Finally, How can JAVA members and friends help support our new initiative? Well, over the past three years, we have taken steps so that we can manage JAVA without having to ask JAVA members to pay membership dues. We have been able to eliminate dues while at the same time securing JAVA’s financial future. But, we still need your financial help to carry out JAVA’s mission. In lieu of dues, we ask that JAVA members and friends make a donation to JAVA to support this new initiative. If you would like to support JAVA by writing a check, please make your checks payable to “JAVA” and put “Honor Flight” on the memo line. 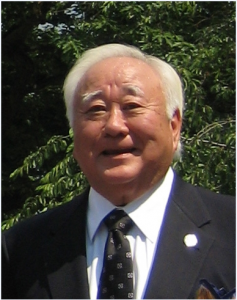 Send your check to Mark Nakagawa, JAVA Treasurer, 9455 Park Hunt Court, Springfield, VA 22153. Read the Honor Flight Network letter.